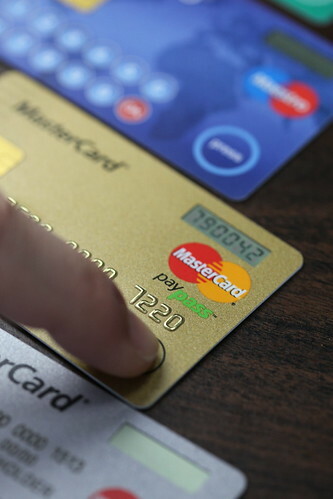 3 Reasons Why You Need a Credit Card Right Now! Good Morning Green Panda Readers and Happy Tuesday. Today is the last Tuesday in April and if you planned to achieve some personal goals before the end of the month then you have to carpe diem and get moving. Your personal goal could be to lose weight before the end of the month, it could be to start saving regularly, or it could be to finally apply for your first credit card. Applying for a credit card is a very smart financial decision because it helps us build a strong credit score. Having a credit card can also help us with a short term cash flow in between pay checks if money is a little bit tight each month. Just as having a credit card can be helpful in building a credit score, it can also be damaging. If we misuse our credit card the financial consequences can be devastating. Overspending and carrying a balance on our credit card that we cannot afford to pay off can cost us a lot of money in interest charges. It can also cause us a lot of stress if we are worrying about how to make our credit card payments. You can apply for a credit card at your local bank branch or over the phone with a customer service representative. Many banks offer a specific credit card for students with several student advantages and a very low (or no) fee. Most banks will ask students for proof that they are enrolled in school full time so it may be better to apply for a credit card at your local bank branch. 1. It Helps Build Your Credit History. Using our credit card every month and paying it off in full helps us build a good credit history and credit score. Having a good credit score can help us get a job, rent an apartment, and even get lower interest rates on our other financial products and services such as home or auto insurance. 2. It Will Establish Your Financial Future. Establishing a credit history by using a credit card will help us get approved for future loans and products such as a car loan, a line of credit, or a mortgage. They key to using our credit card responsibly and not accumulating debt starts with the credit card application. We should apply for a limit that we are able to pay off each month, just in case we max out our credit card one month. If we can afford to pay off the entire balance each month we will save on interest charges and we will also maintain a good credit score for our financial future. 3. You Can Build a Relationship With Your Bank. The more products we have with our bank the more of a relationship we can build with them. If we are a long time client of the same bank and if we have several products with them it means that we are a profitable client for the bank. If we are a profitable client for the bank they may be willing to help us out if we ever need a favor such as reversing service fees or lowering our interest rates.